Festive season is fast approaching. There are lots of things to enjoy even though the evenings are getting shorter, and the mornings colder. Fall starts bringing bright colors, leaves are turning vibrant orange, yellow and red. The bounties of the fall harvest impress with sizes, shapes and shades. 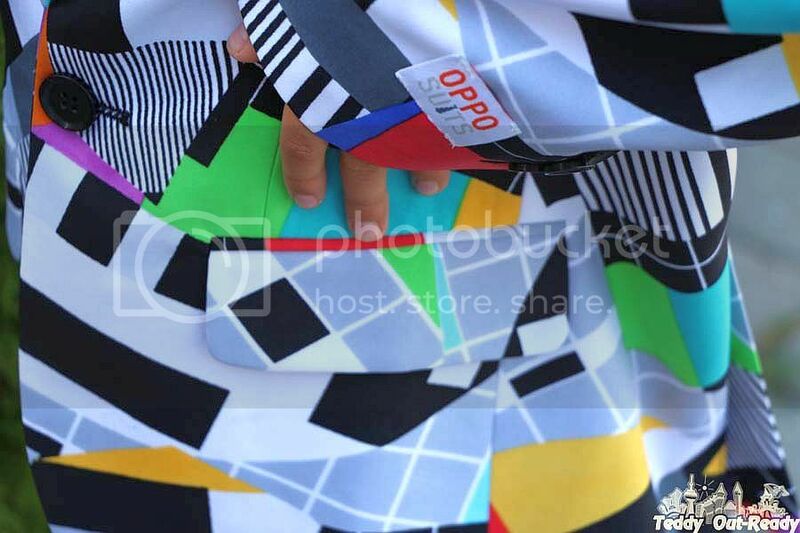 If you like vivid color outfit, that you should definitely check OppoSuits. Their unique suits are brightly colored and offer loud and eye-catching prints. There are wide selection of suits for men, women and children. OppoSuits, as it comes in the name, are exactly the opposite of conventional costumes those colors are boring dark: black, gray or blue. Their costumes are crazy, loud and a great way to stand out from the crowd. After becoming extremely popular in Europe and US, now Opposuits are ready to brighten our days with their colorful suits in Canada. Teddy has many costumes in dark and solid colors like black and blue but it was really fun to try something different. 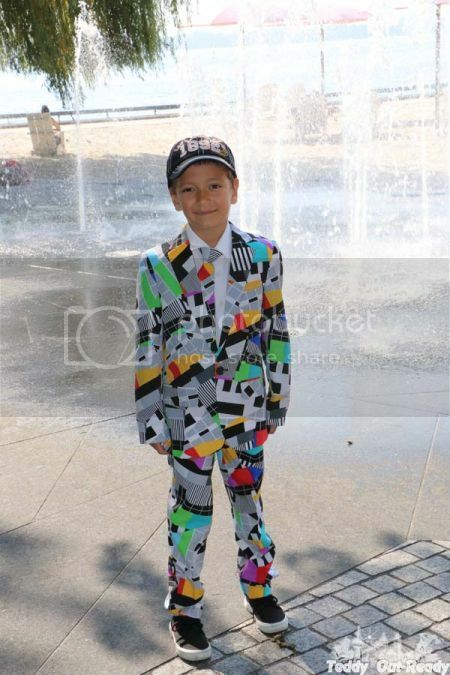 Recently he was offered to try one of Opposuits from children collection. 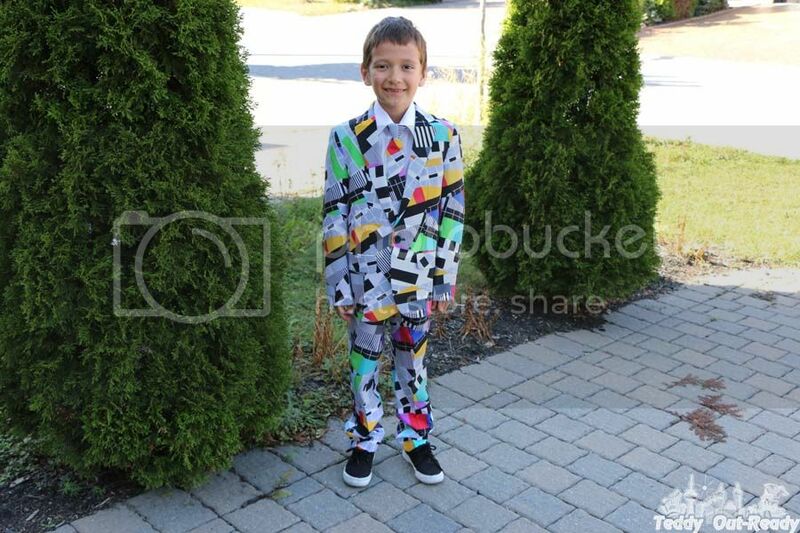 OppoSuits have created a unique collection of little boy suits for any kind of occasion. Teddy chose BOYS Testival suit. This retro suit reminds us the days when TVs had this test screen and now new generation hardly understands what it means. Nevertheless , this suit looks pretty cool with colorful prints and drawings. 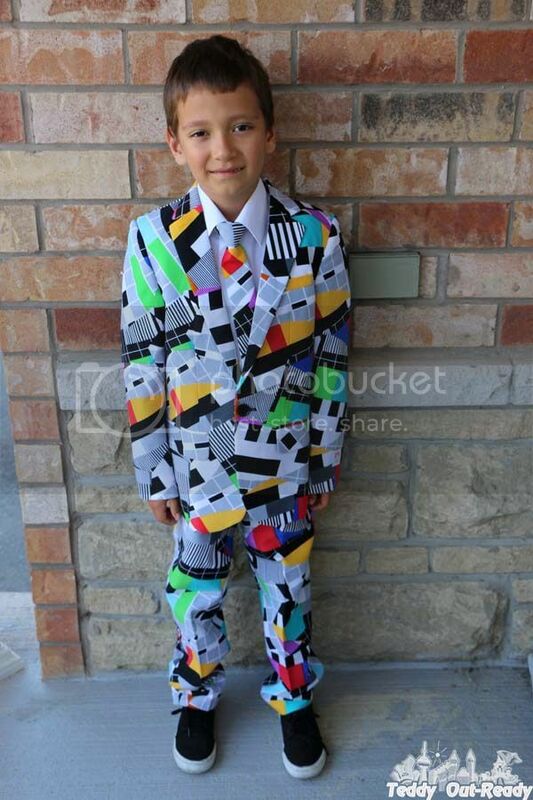 Teddy said this suit reminds him a piano in a crazy way. We ordered size 8 for Teddy. The suit arrived in a nice box and included three pieces: pants, a jacket and a matching tie. Since our boy is skinny and tall, I ordered him one size bigger than he is now. I worried at first that the jacket would be big in shoulders, but when the suit arrived, the jacket fitted perfectly. The pants are little bigger in a waist, but it is just fine as all Teddy's pants are wider in waist, the length is more important as pants are usually shorter for his long legs. The clip-on tie can be just attached to a shirt so it is easy to put it on and take it off, and it is matching too. Made of 100% polyester, the suit is very well tailored. It is also machine washable, wrinkle resistant what is good for our busy active boy, no need to iron it all the time. OppoSuits is a great way to show unique personalities, in a stylish way, perfect for parties, gatherings and special events. While adult collection is huge with suits for Christmas, Halloween, St. Patrick Day, different movie themes hitting you with various colors, patterns and designs, I hope children's collection will grow to that level as well. 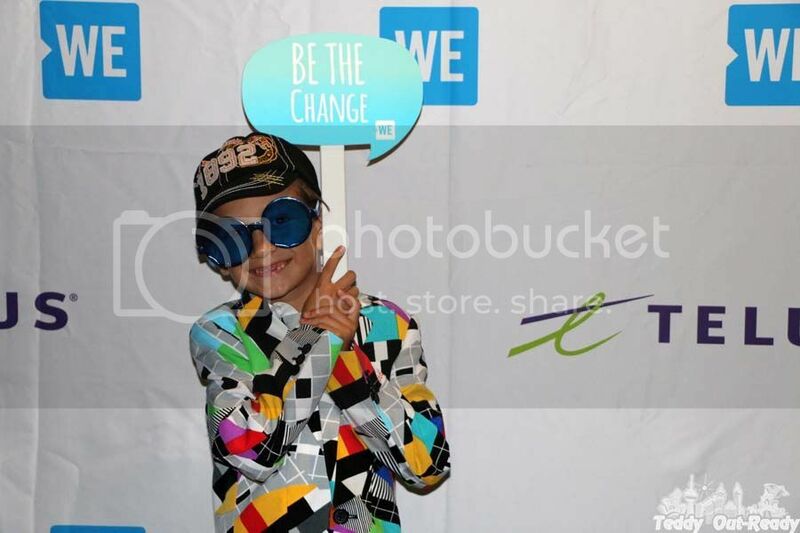 We attended various events in Toronto from TV media events to screenings and parties, every time Teddy's suit was such a huge hit. One lady said she has never seen suits like that, snazzy and stylish. 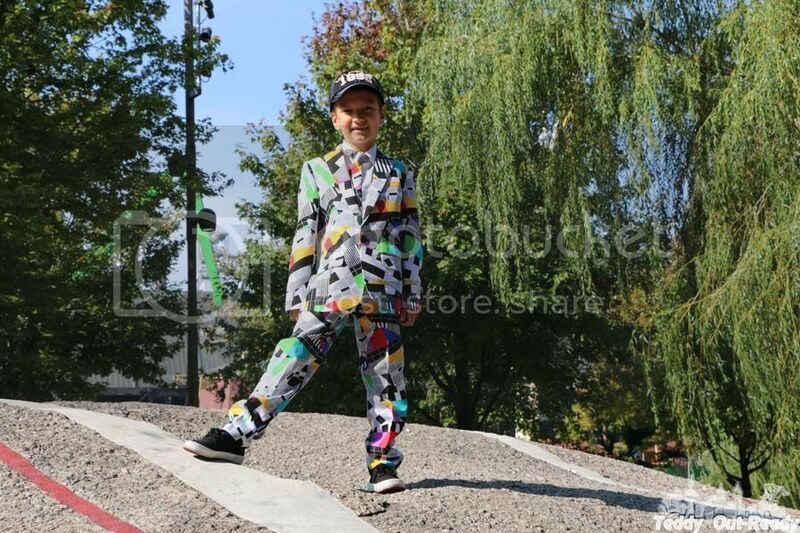 All boys suits are priced $84.99 CAD and available for purchase on-line on OppoSuits site or at Hudson's Bay stores & online. That is one amazing suit! He looks awesome in it!